Vibratory bowl feeders with high reliability which could be used even for parts with complex geometry are among our expertise. KMS ENGINEERING is a supplier of cost-effective feeding systems. suitable for a wide range of parts, even ones with complex geometry. 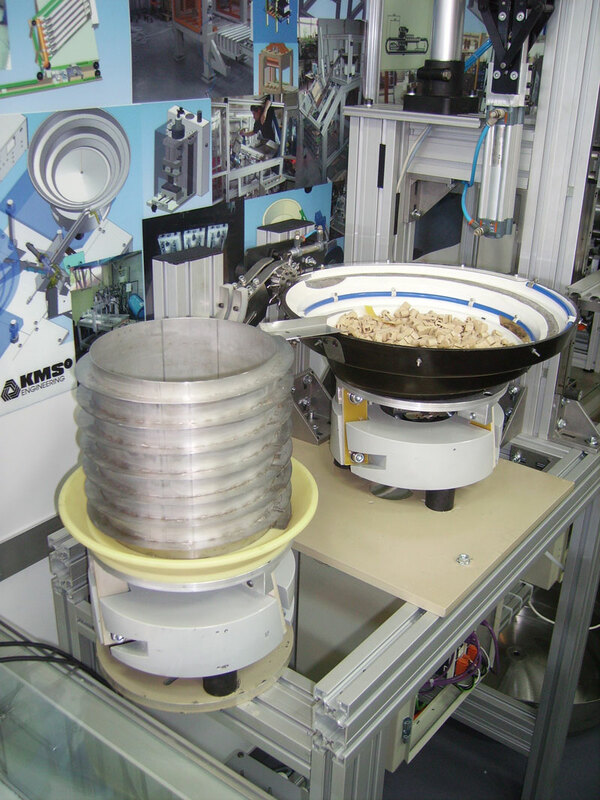 Vibratory bowl feeders are used for part feeding and orientation. The movement is based on the spiral vibrations which occur thanks to the vibratory driver. 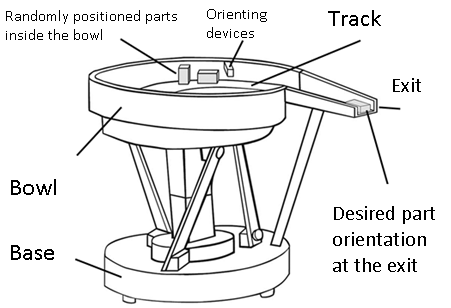 The orientation is made through special orienting devices(part traps). 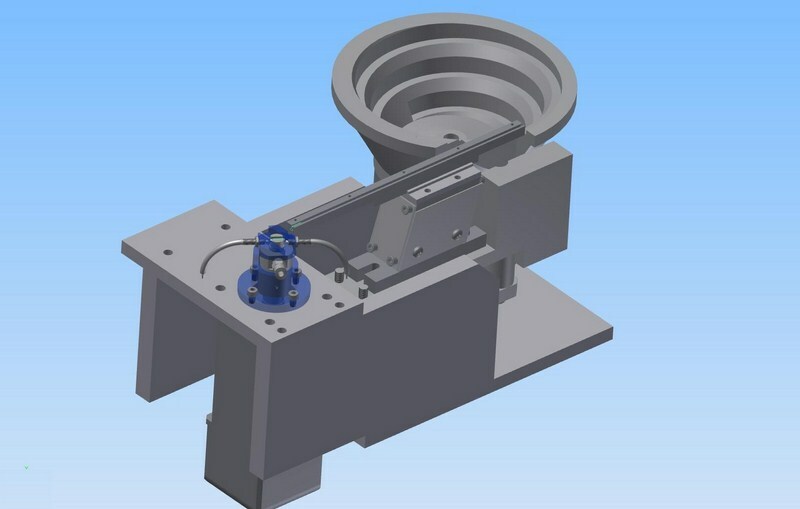 While the main task of the vibratory bowl feeders is to orient the parts, they can’t be filled with too many parts. Normally, this problem is solved by using a separate vibratory hopper (bulk feeder) device with sensor-based tracking of the parts presence. 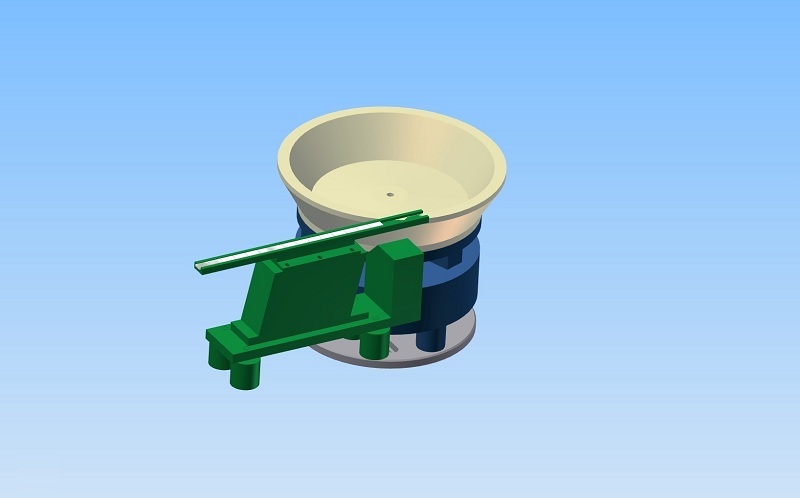 This increases the autonomous work time of the vibratory bowl feeder. 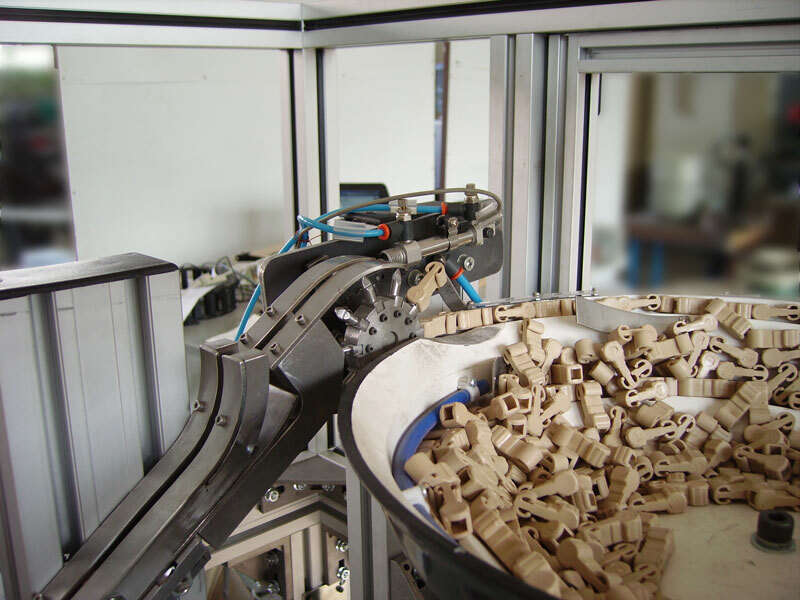 A linear vibratory feeder, conveyor belt, gravity pathways or pneumatic conveyors could be placed at the vibratory feeder’s exit to move the parts further. The next device is the escapement unit which has to separate one or more parts out of the total parts flow. 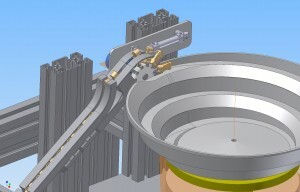 Parts in vibratory bowl feeders move as a result of micro jumps caused by the spiral vibrations. Different orienting devices (traps) are used to remove the unnecessary part positions.